A quick way to tell if Graham Reese has designed a space, is to look for an orchid. This flower is a go-to with this design group, because no matter the space, an orchid will add a sensual and simplistic element to any space; commercial, retail, or otherwise. This flower will instill a zen or comforting feeling to your guests, which is why it is the flower of choice in our spaces. 20twelve is a high-end clothing store in the Broad Avenue Arts District of Memphis, Tennessee. With its posh interior and upscale brand offerings, it is often referred to as “Barney’s on Broad.” To get this experience, it was the responsibility of the Graham Reese Design Group to convert a space into an experience. Chantal Johnson, the owner of 20twelve, was hoping to emulate the style of Tom Ford. Tom Ford freely uses French gold in his design, so when it came to the Broad Avenue store, using this metal was the first motive. Rich, exotic woods were also incorporated into the space, along with oversized herringbone floors. Suede walls were placed behind the product shelves to add texture, and rich, sleek metals were placed on the walls to make the high quality items stand out. To add to the experience, the ceiling of the space was painted with the paint from an Audi Q7 for a ultra high-gloss finish. The ceiling was also adorned with an intricate rail system for a custom chandelier. This rail system allows the chandeliers to be moved about the space for different design looks. This creates a fresh experience for shoppers when they visit. The high-end design of the space is made to reflect the designer fashions that are sold in the store, and gives the customer the sophisticated shopping experience that they would find on a trip to New York City or Paris. Without this attention to detail, the customers of 20twelve would not have the same experience, and the consumer “buy-in” we are looking for would be lost. When it comes to designing a restaurant, the expert eye focuses on 5 main elements to draw in customers. 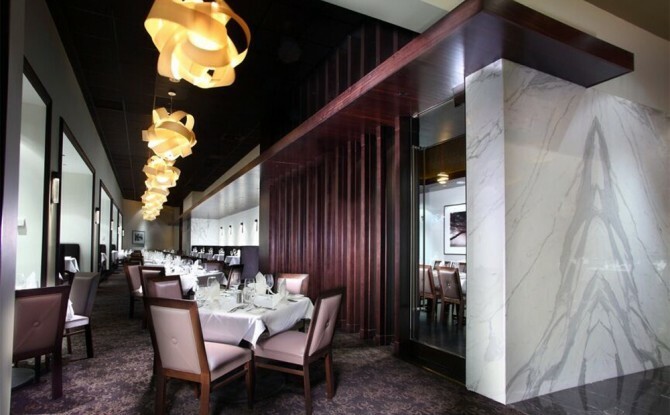 At Graham Reese Design Group, restaurant design is an important facet to the portfolio, and there are key things to consider when designing a restaurant space. How to make an entrance feel like an arrival is something I believe is an extremely important part of the design no not leave out. An entrance should feel more like an arrival to your guests, and if possible, separate from the main dining area. The entrance to a restaurant should give the essence of a grand entrance, or a foyer, or staging area to their dining experience. The restaurant should have three distinct places to dine; the main dining area, the bar, as well as a lounge. This gives your guests the opportunity to enjoy your restaurant from different perspectives, and so they can find what is most comfortable for them and their occasion. While I like to focus on the customer perspective when designing the space, it is also key to keep in mind the operations of the restaurant. From a big picture standpoint, how the food and drinks go from point A to point B is crucial to having an efficient restaurant, and how the back of house will operate in relation to the front of house. The atmosphere of the restaurant will mean nothing to the customers if the space isn’t able to run efficiently. Design plays a huge role in efficiency. How to determine the number of seats in a restaurant is solely based on an operations standpoint. The restaurant must have the ability to quickly turn tables, and the number of seats that are able to be put in the space will directly reflect that. For visual depth, it is important to add variety in the seating. Banquettes are important to this visual depth. Another facet to focus on when it comes to seating in your restaurant is the ability and room to move the seating around and adjust according to different sized parties and event seating. Not having enough room or variety will not allow flexibility to the seating, so it is key to make sure that that is noted in the design. When designing a restaurant, it is important to consider the customer perspective to the operations of the space. 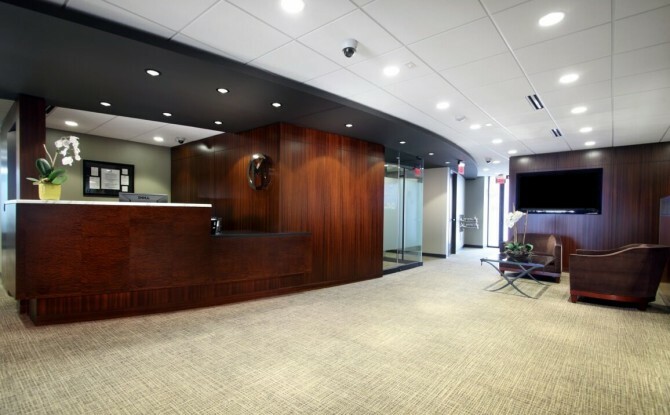 Each element of the design as a whole plays an important role in making a space into a successful and delightful environment for guests as well as employees. The goal for any retail design is to create a space that makes your guests not just buy, but “buy in.” The design should make them buy in to your story, your brand, and your offerings. 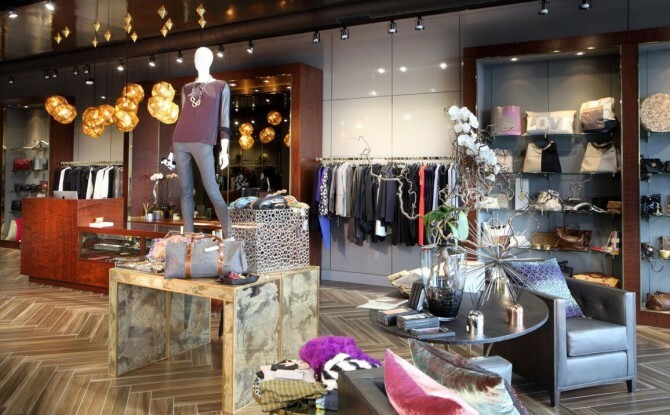 When designing a retail space, it is important to focus on the customer experience and how it relates to your story. It is not simply placing products for sale throughout the space. The experience is what will keep the customers returning to your space as loyal patrons. 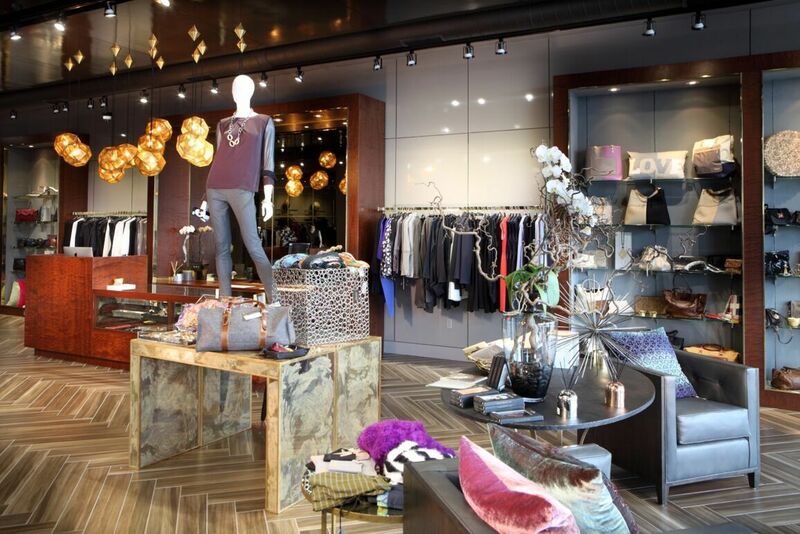 20twelve is a high-end retail store in the Broad Avenue Arts District of Memphis. 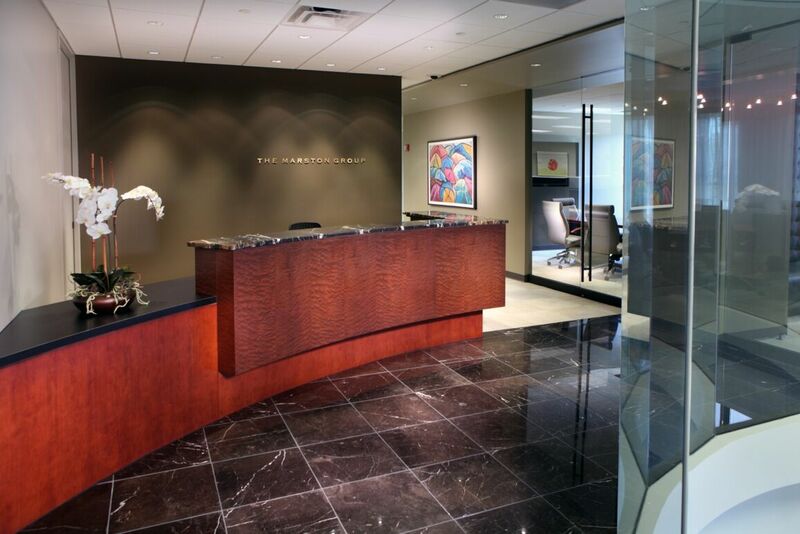 Without creating an environment of sophistication using sleek metals and French gold, the customer would not buy into the experience. Wiseacre Brewery and High Cotton Brewery are two tap rooms local to Memphis TN. These two spaces are excellent storefronts that exemplify brand storytelling and customer experience. The spaces don’t sell beer, they sell a night out with friends in a great atmosphere. 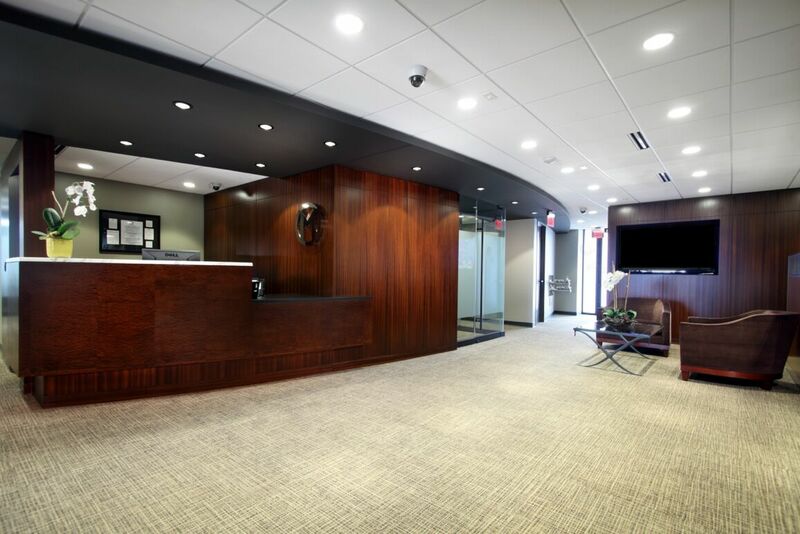 All of these spaces require different elements that create an experience that customers will not find elsewhere. To accomplish a retail storytelling experience, quality design that is relevant to the brand is key. 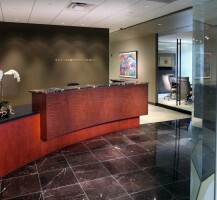 Using pictures, graphics, and art will allow the customers to feel a part of the experience as soon as they enter. Focusing on colors, materials, and flooring also adds to this. Design is a key element of telling a brand story and drawing customers into a experience. This encourages them to be as passionate about your products as you are. We want people to buy, so we need people to buy in. Tamp & Tap is a coffeeshop and tap room local to Memphis Tennessee. 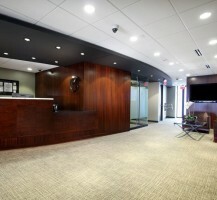 The first location is in the urban, downtown core, and the second is in an upscale office building. 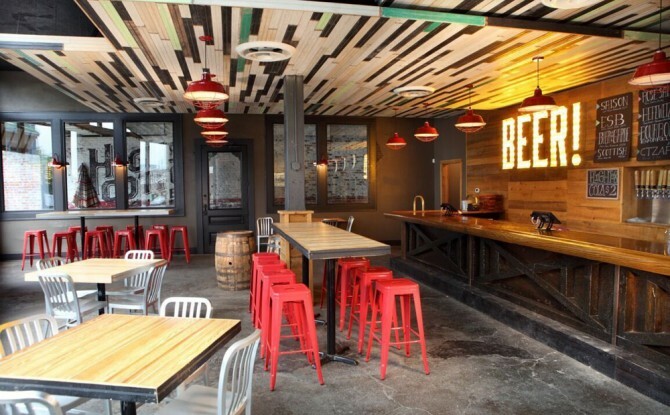 When it came to designing the second location, it was important that the space needed to be designed to reach a different market than its downtown counterpart. 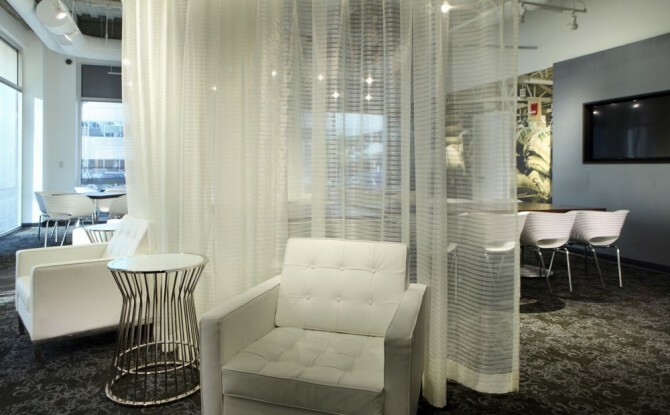 To cater to the upscale business clientele in the building, I incorporated neutral materials, marble, and tufted bar fronts around the space. This space was meant to stray away from the average, dumpy “grind house”, and boast more of a well-travelled, big city feel. A key feature of this space is the large conference room table on the main floor, with a floor -to-ceiling transparent screen. This area allows customers an escape from their daily office space, and it gives them a space suitable for work while giving them a change in environment. The screen offers privacy, while the transparency of it keeps guests from feeling trapped or confined. It is important to keep in mind the demographic of your customers when you are designing. By providing a sleeker and more elegant coffee cafe for Tamp and Tap’s second location, the customers have a more comfortable and functional space, and the design finishes are continuous with that of the building.